Whether it's a research lab or a production facility, life science companies have specific needs when it comes to spaces and labs. NCBiotech's team understands those specific needs, and can help you find the right place to land. 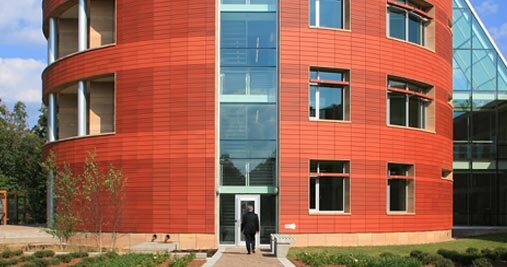 We maintain contacts with university facilities, incubators and commercial space representatives. We also have office space in our building for companies looking to launch North Carolina operations. Our RTP headquarters has a free coworking spot where you can plug in and work for an afternoon. 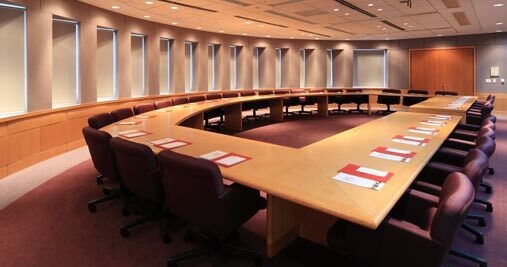 Or visit our award-winning conference center for a meeting that will take your breath away. NCBiotech can get you into the right place at the right time, and transform the way you do business. If you’d like to book a class act for your next business meeting or conference, look no further. NCBiotech’s Hamner Conference Center (HCC) has been voted one of Convention South Magazine's Elite 50: the “coolest and most meetings-friendly” conference facilities. The HCC is available for a wide range of non-religious, non-political events and business meetings. Is your life science company looking for short-term office space in Research Triangle Park? The Landing Pad offers prime physical office space and a full cadre of professional services. You'll be steps away from competitive intelligence, with easy access to leading industry experts and the team at NCBiotech. Let us ease your entry into U.S. markets at this prime North Carolina location. Life science professionals are one key to success in North Carolina. 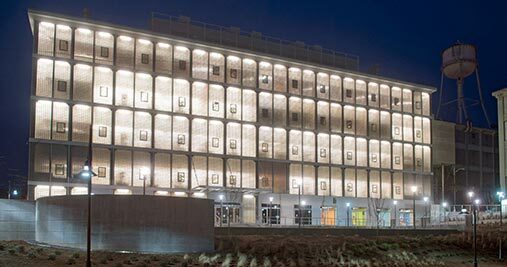 The state also has multiple lab facilities dotting the state. While we don't have research and lab space at NCBiotech's offices, we can help you locate an appropriate facility that meets your company's needs. We also maintain a list of core lab facilities that will partner with you to get your research done. In Research Triangle Park and need a place to work? The NCBiotech Library has free wi-fi, complimentary public coworking space, daily private office rentals, and a small conference room. 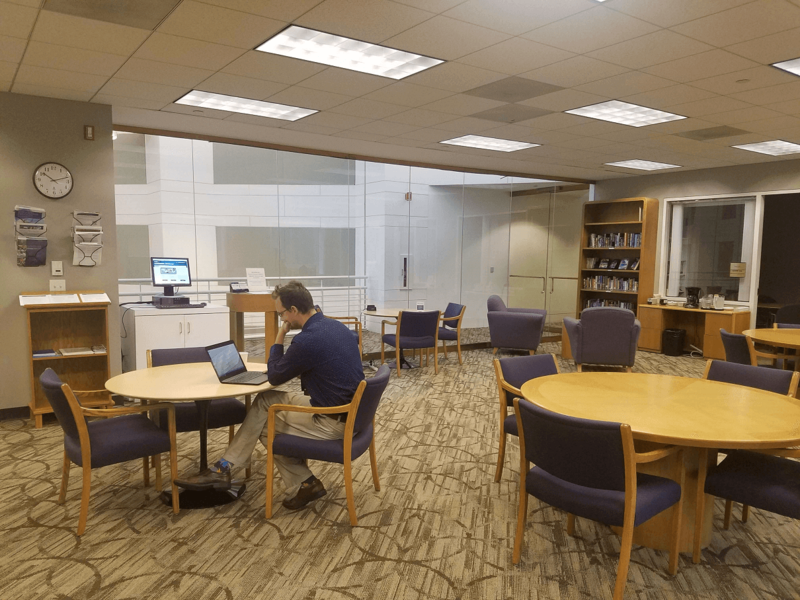 Whether you need an office for the day, a place to meet your team, or a consultation with one of our research analysts, the NCBiotech Library is your place to plug in.